Ray Hushpuppi is a Malaysian based Nigerian socialite in his 30s who is well known for the luxurious lifestyle he lives both home,abroad and on social media. Ray Hushpuppi who is also called “Aja Puppi” is a philanthropist who became famous after his social media fight with Nigerian musician Davido in 2016. He said to be a billionaire and a philanthropist too. Hushpuppi was born and brought up in Lagos Nigeria but currently based in Malaysian. He was born Igbalodely on June 14 . He is known for his taste for good things like cars and clothes as he is highly fashionable. The young Nigerian man who prefer to reside in Malaysian revealed he used to be a heavy gambler before ‘God picked his call and blessed him abundantly” he claims. 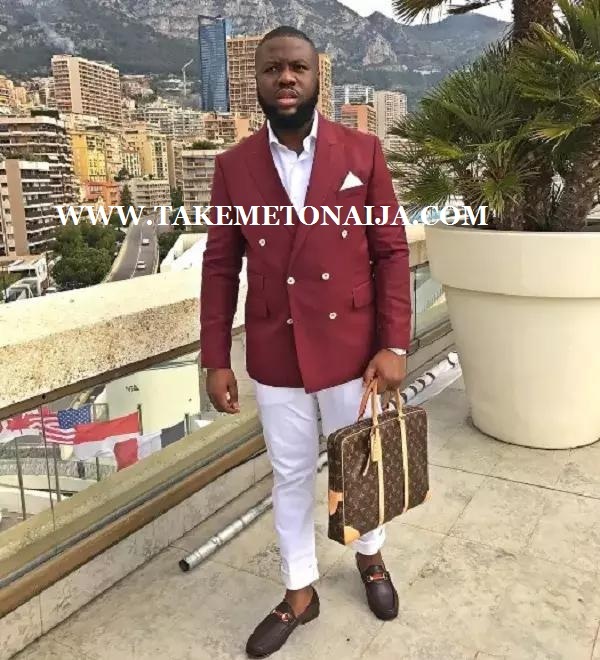 Ray Hushpuppi revealed he used to be a normal street boy who strive to eat one square meal a day , he was born into a family that know nothing but penury all their lives. He struggled to take care of himself so that he would not resort into stealing because he didn’t have all that he needed as a young guy. After struggling for years to have a good life, He finally made it, he is now dinning with big guns in the Nigerian Entertainment scene even though he is no celebrity. He was able to ink his name in the great book of wealth after the messy brawl he had with top Nigerian musician , Davido, Kcee and Ice Prince Zamani. He called out Davido for flaunting the 1million receipt he spent in the club while he show off the 11millions receipt he recently spent on drinks in the club. It was very obvious that the Die hard Gucci fan was looking for a way to get attention but his plan worked out because Davido gave him the show he crave for by replaying him. His extravagant and flamboyant lifestyle can be easily seen in the pictures he shares on his social media handles . This photos reveals the kind of life he lives as he believes highly in living large and having fun to the fullest. He works hard for his money after all. A lot of people has been wanting to known how hushpuppi makes his money but unfortunately it remain a misery because it hasn’t revealed . Some say he is an internet fraud-ster while some claim he is ho-mo but he recently said he begs for a living which we believe is a joke. The social media hasn’t rested for a long time as the Malaysian-based Nigerian rich boy, Ray Hushpuppi has been involving in different fight with several celeb. The whole fight thing started when he accused ‘King of the East’ Phyno, Ice Prince and KCee of patronizing fake products. They didn’t see this funny instead they attacked back . Hushpuppi’s is unknown! His net worth can’t be estimated at this time, it was speculated that he has a lot of properties like Rolls Royce, a latest Range Rover and some cars. He loves traveling in private jet, clubbing and buying drinks worth millions of Naira , he is a die hard Gucci lover.